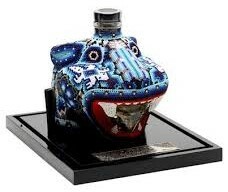 Jaguar Reposado Reserva is 100% Puro de Agave, and rests in oak casks for up to one year. 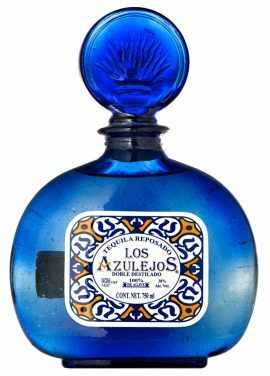 This limited edition Tequila is bottled in a blue ceramic bottle with sandblasted logo. Light aroma of cooked sweet agave, vanilla, and a hint of light fruit. The initial taste is cooked agave and vanilla. A combination of pure agave, oak, vanilla and spices with a medium-long finish of oak and chocolate being the most prominent. A lovely long finish, that soothes the senses. Small-batch, pot still method of distillation. 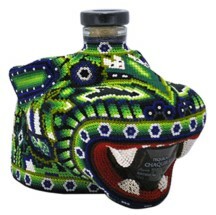 Jaguar Reposado Reserva is a carefully selected mixture of 100% Lowland Agave. Also, 50% of the Agave is cooked in old traditional brick/stone ovens, and the other half is cooked in stainless steel autoclaves. Fermentation is very slow, with average time required of 72 hours. The final step is distillation which takes place in pot stills, also known as single batch slow distillation at relatively low (55%) alcohol content.